We’ve got a long one this week. Don’t get me started on how much I love getting mail from Las Vegas. I simply can’t shut up. 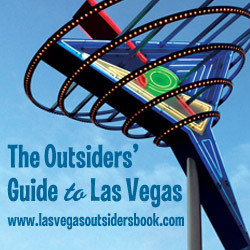 New listeners from Las Vegas Talk, Las Vegas Advisor and the soundseeingtours.com RSS feed. Two weeks, six offers from Vegas casinos. Direct download of the podcast: Five Hundy By Midnight 2/13/05 (38:19 min, 17.6 MB) or subscribe. Congrats on the NYTimes mention.